I Made It! 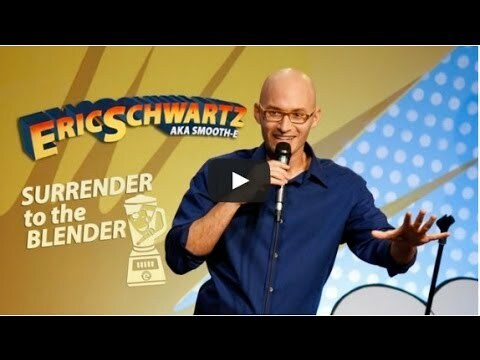 Eric Schwartz aka Smooth-E's New Comedy Special showcases him as one of the world's best musical comedians. A while back, I finally realized what that meant. If I want to “make it,” I have to make it. So, I made this special (get it here). Why produce it on my own? I had been trying to record a special for several years. But it seemed every time someone would become interested in producing it, we would hit a roadblock or they would drop the ball. I eventually realized the only way to get it done was to take matters into my own hands. With my vast experience in producing parody music comedy videos for YouTube, how hard could it be? Let’s just say 2013 hasn’t been a big year for sleep. But it has been a big year for learning things I never wanted to know, like encoding 1920 x 1080 HD files to 720 x 480 SD MPEG-2 files for DVD. FUN!!! The point is, I made it, independently, without studio backing–just the help of a few talented friends and the support of some great fans. Take that, establishment (but not personally…I’d love to work with you next time)! Maybe after such a heartwarming tale of inspiration, you’ll watch the trailer. Or maybe you’ll order it in my Store. But don’t do it for me. Do it for you. I can only truly “make it” if you laugh your face off.